Want to know how you can download Waterlogue for free? Then read on. 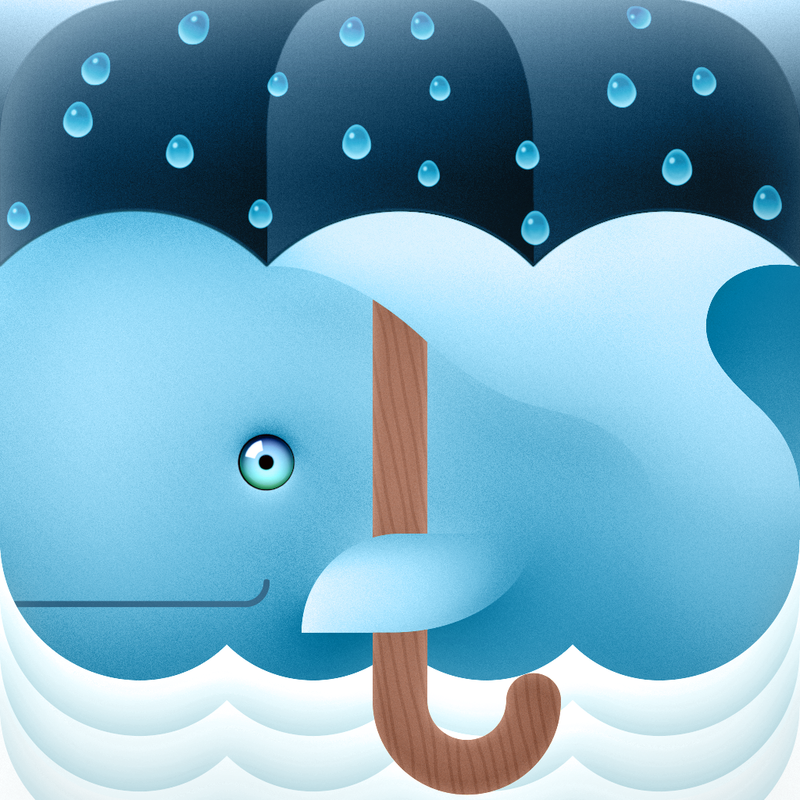 The popular watercolor app developed by Tinrocket, which was hailed as an AppAdvice App of the Week shortly after its release in December 2013, is currently priced at $2.99 on the App Store. But as noted by iDownloadBlog, it's being offered by Apple as a free download through the official Apple Store app. You see, Apple has just launched a campaign called “Start something new.” Essentially, this campaign features a gallery of artistic pieces that Apple hopes will inspire people to, well, start something new by using iOS and Mac devices in conjunction with creativity apps. 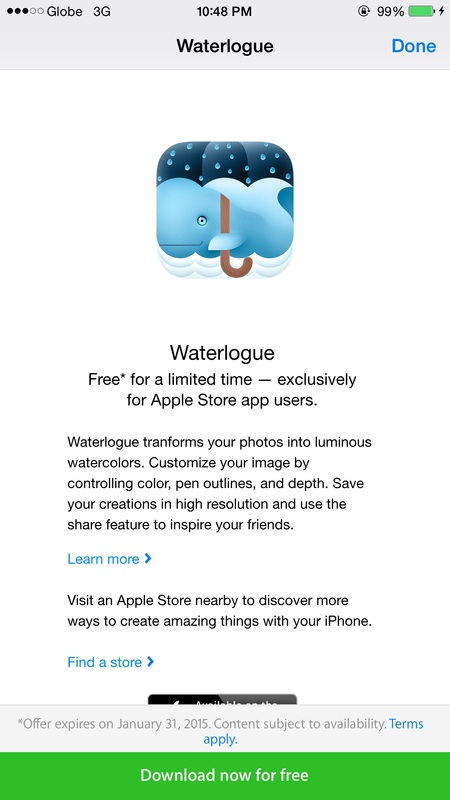 One of the apps highlighted in the campaign happens to be Waterlogue, which Apple has decided to give away through the Apple Store app on iPhone and iPod touch. Waterlogue transforms your photos into luminous watercolors. Customize your image by controlling color, pen outlines, and depth. Save your creations in high resolution and use the share feature to inspire your friends. Tap “Download now for free” at the bottom of the screen, tap “Continue” on the dialog box that appears to open the App Store app, enter your Apple ID password when prompted, check that your unique promo code is automatically entered in the resulting code redemption screen, tap “Redeem” at the top-right corner, and that's it. Waterlogue should begin installing on your iOS device. 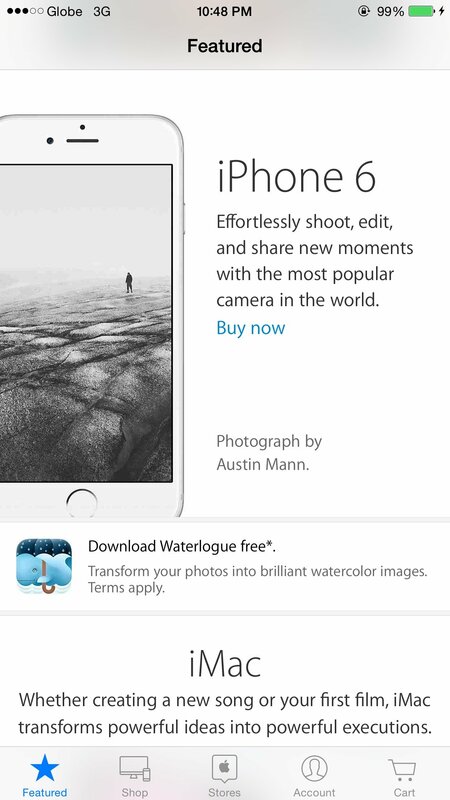 Note that the free downlad offer for Waterlogue, which expires on Jan. 31, appears to be accessible through the Apple Store app on iPhone and iPod touch, but not on iPad. However, since it's a universal app, Waterlogue is readily available for your iPad once you've successfully downloaded it to your iPhone or iPod touch. Waterlogue is compatible with iPhone, iPod touch, and iPad running iOS 7.0 or later. 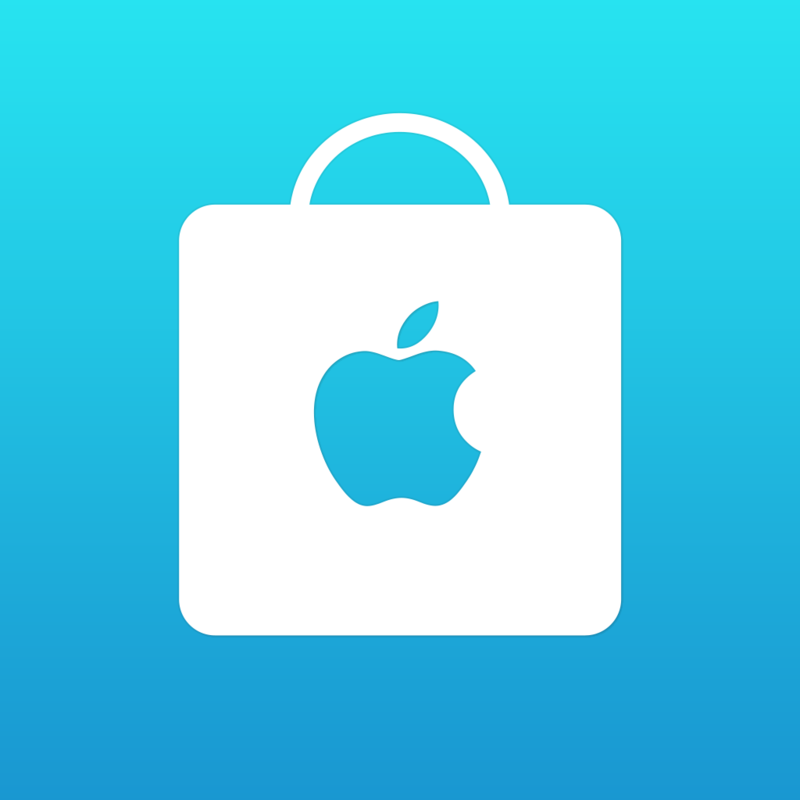 Also compatible with iPhone, iPod touch, and iPad running iOS 7.0 or later, the official Apple Store app is available for free from the App Store. See also: What happened to the Photos app on iCloud.com?, Twitter for iOS now highlights tweets you missed 'while you were away,' and Check out what's inside Apple's 'Lucky Bags' in Japan this year.